Joy Holbrook is a market research executive in charge of “all things Christmas” at a Washington, D. C. company. Ambitious and single-minded, her focus is on her career. She hasn’t even been back to visit her Aunt Ruby, her closest living relative, in two years. 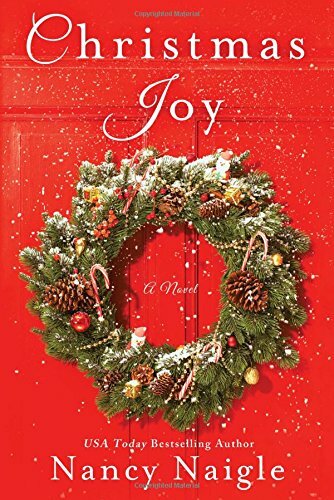 That changes when Joy gets a call from her aunt’s best friend with the news that Ruby is in the hospital after a fall and is about to undergo surgery. Joy leaves immediately for Crystal Falls, North Carolina, the small town where Ruby lives and where Joy spent part of her high school years. Ben Andrews, a hospital accountant with mad handyman skills and a love of all things Christmas, is “Handy Andy,” a nickname Ruby assigns him and that he tolerates only from her. Ben is Joy’s opposite in more ways than his enthusiasm for Christmas. He is part of a tightly knit family, linked to a large circle of friends, and deeply involved in his community. He has helped Ruby win the coveted golden trophy for seven Crystal Christmas Cookie Crawls, but he fears that this year will be the year they lose since Joy is determined to do it all without any help from him. However, as they spend time together, Ben discovers the vulnerable woman behind Joy’s city girl façade, and Joy discovers that the ties of community, family, and romantic love she has avoided may be just what her heart truly desires. This is a sweet, small-town Christmas story. It is predictable, but that is not a bad thing in a Christmas novel. 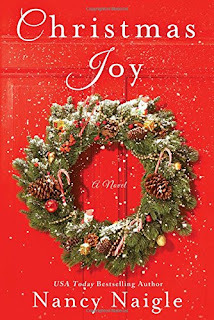 Most readers of holiday romances are looking for comfort and sentiment, both of which Naigle provides along with humor and enough holiday trimmings to please the most Christmas-obsessed reader. Joy and Ben are likeable, and the secondary characters from Joy’s assistant to Molly and Aunt Ruby add to the appeal. The conclusion did seem abrupt and truncated to me. I suspect that other romance readers, fond as many of us are of rich HEA scenes and confirming epilogues, may also find the ending disappointing. Sounds good. Just picked up Christmas At Eternity Springs by Emily March and started reading it. Will have to look for this one now. Thanks for the review! Sounds perfect for the holiday season! I am in Christmas book mode. Thanks for the review. I will have to look for this one.